Your current estimated monthly fuel spend does not qualify for a BP Fuelcard. We would like to tailor a fuels offer to best fit your business requirements. Select the 'Request call back' button below and one of our friendly Business Managers will phone you within 48 hours. Alternatively, select the 'Continue with application' button to submit your application now. BP may request further information once your application has been assessed. The Personal Guarantee for limited liability companies will be emailed after the application has been submitted and must be signed by a director of the company. Your business qualifies for a special offer, subject to confirmation of eligibility. 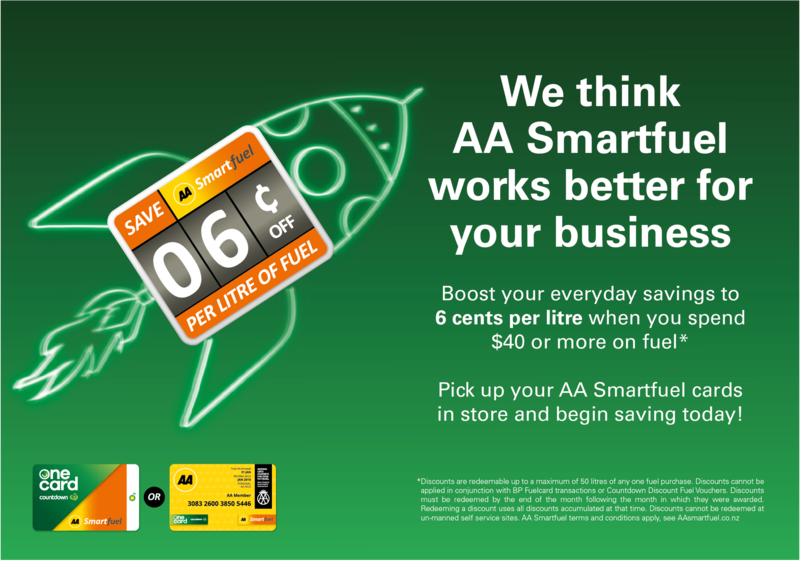 Save 6 cents per litre off the pump price on all fuels at each of our sites. For more information call 0800 800 027, option 1. Make planning ahead easy with a direct debit on the 10th of the month, giving you up to 41 day credit terms. With Fuelcard Online you can order new cards, set purchase limits, create custom reporting, manage security, and much more. With more than 350 sites nationwide (including G.A.S and RD Petroleum) and 80 High Flow Diesel sites, we keep your business moving. For each BP Fuelcard there is an annual fee of $15 including GST. There is also a 10 cent fee per transaction. Complete the details on the next page to request a call back and one of our friendly Business Managers will phone you within 48 hours. Please contact one of our friendly customer services team, so we can best service your needs. Please complete the details on the following page and our support team will contact you in the next 48 hours.